– Wearing elastics helps to improve the way your upper and lower jaws fit together. Be sure to wear your rubber bands as instructed by our orthodontist for the best, most efficient results. – The Herbst appliance is used to correct an overbite by encouraging the lower jaw forward and the upper molars backward. This is a fixed appliance typically used for younger children. In most cases, the Herbst appliance is worn for 18 months. – A palatal expander is used to widen, or expand, the upper jaw by applying gentle, constant pressure on the upper molars. Adjustments will need to be made over time; Dr. Lynnette Nyberg will give you instructions on how and when to adjust your palatal expander. 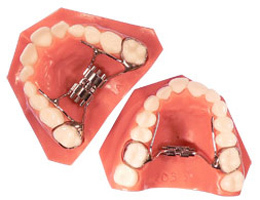 Once the jaw has been properly expanded, you will need to wear the palatal expander for a few additional months to solidify the expansion and prevent regression. – Once your orthodontic treatment is complete, you will wear a retainer to maintain the proper alignment of the teeth and jaw. 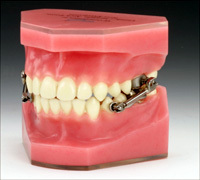 Retainers may be removable or fixed, and our orthodontist will give you instructions on how to care for your retainer. 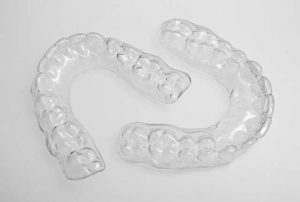 Wearing your retainer as directed is essential in maintaining alignment and preventing regression. – Separators are small rubber rings that are placed between teeth to move them apart. 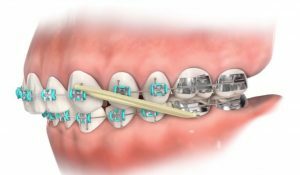 This allows us to place orthodontic bands during your next appointment; the spacers will be removed before the bands are placed. If you are wearing separators, we recommend that you do not eat sticky foods and that you floss carefully. For more information about any of these types of appliances, please call 603. 749.2900 or visit us today at Nyberg Orthodontics.